A Fairygodmother to watch over you - A lovely little hand painted wooden doll decoration with purple star dress and wand. Perfect for your shelf, to sit and watch over you to bring good luck. 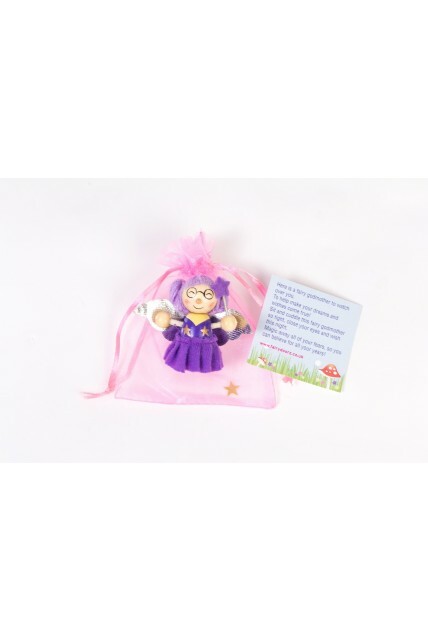 This wooden wishing doll comes in an organza bag with star sprinkles and a poem card on how to make your wish. A lovely little gift.